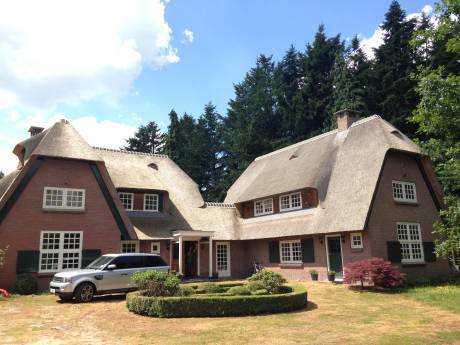 Nice and modern home, great and central basis to discover The Netherlands! Our house is a nice and comfortable, semi detached home, that has been recently renovated. 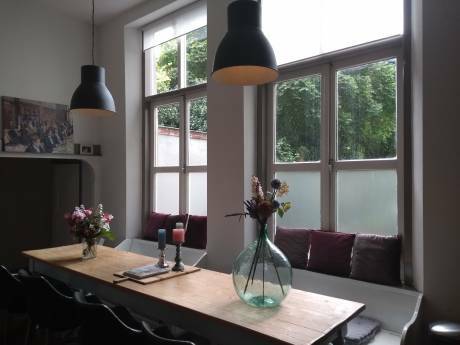 It has everything to enjoy a wonderful and comfortable stay where you have all the benefits of living in a pretty historic town, as well as the possibility to explore the nearby beautiful green surroundings (de Achterhoek), sights and cities as Amsterdam. The kitchen has a beautiful kitchen island with dishwasher, oven, espresso machine and all other necessary equipment, a bathroom with walk-in-shower and bath, 2 toilets. The doors of the kitchen open to our sunny, private garden (with swings and a little play house for the kids). 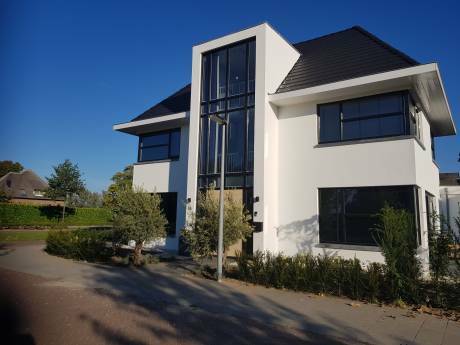 From the house it is a 100 meters to the river dike from where you have a beautiful view over the meadows and the river with boats passing by. From here you can enjoy a nice walk or bike ride alongside the river to the centre of town. We are sure you will like this as much as we do! We live in a charming medieval town called Zutphen, which is only 75 minutes east of Amsterdam. It lies alongside the river IJssel, by many voted as the most beautiful river in Holland. Zutphen has a 'Charles Dickens feel' to it, it is a lovely small town with bendy streets and all kinds of nice shops, specialty stores, (organic) markets, museums, a cinema, theater, cosy bars and restaurants etc. Zutphen is a very special place, since we have a lot of 'immigrants' from other parts of The Netherlands, like Amsterdam. People just like the atmosphere over here. The area 'De Achterhoek' (where Zutphen is located) is famous for it's beauty and there are many nice villages and cities around. From here you can easily enjoy the beautiful scenery with small rivers, forests, old farms, castles and windmills (you can use our bikes to explore - with childseats if you like!). If you drive about 25-30 minutes, you enter the largest National Parc, de "Hoge Veluwe" with the Kroller Moller museum where you find many famous paintings of Van Gogh. If you have children there is also lots to do: visit one of the playgrounds a stones throw away from our home, they can play with the children in the neighbourhood, you can have a stroll with a donky (fun! ), visit one of the theme parcs or monkey parc (within 30 minutes drive)....and much, much more. Since we live in the heart of The Netherlands, it is easy to explore a big part of the country from here (by car or train), there is a lot to see and do, f.e. Amsterdam (75 minutes), Utrecht (1 hour) and The Hague (2 hours). If you like, you can even visit and explore Germany (the border is 35 minutes drive and the pretty cities Dusseldorf and Cologne/Koln are 1,5 distance, so perfect for a day tour). We love it here, and we are sure you will love it too! We are Hugo (36) and Bianca (38) and we have 2 sweet daughters called Isa (4,5) and Nora (3). We love to travel to far places as well as destinations in Europe. We can exchange for a long weekend or up to +- 4 weeks, but we are open to long term exchanges as well. So we are quite flexible and keen to get to know you and your country! Echanging homes is not new for us, since we exchanged 6 or 7 times succesfully. We are looking forward to hear from you and in case we will swap, you don't have to worry: We will take care of your house as if it is ours!